Glance Technologies Inc. (CSE:GET)(CSE:GET.CN)(FRANKFURT:GJT) is pleased to announce rapid and consistent growth of Glance Pay during its first 12 weeks in operation. "We have seen a large increase from the first week of launch to the 12th week in the operation of Glance Pay," says Desmond Griffin, CEO of Glance. 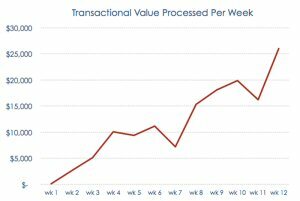 "We have an average weekly transactional volume increase of 232% week after week during the first 12 weeks of Glance Pay's operation." 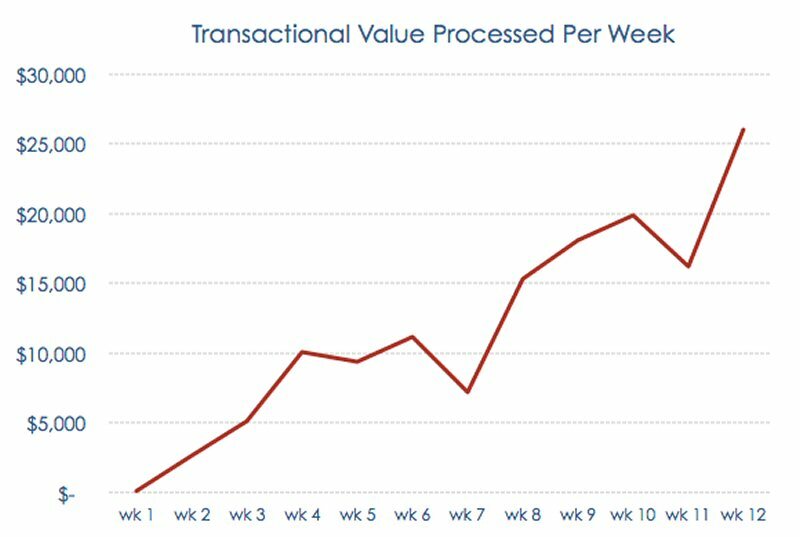 The number of users who have completed payment transactions through Glance Pay has been increasing steadily each week. Glance Pay currently has a good balance of new and repeat users for its first 12 weeks of operation, which demonstrates that the app is achieving repeat customers and regular use, even at such an early stage. Glance is also pleased to announce that it has successfully gone live in 10 additional restaurants in the last 2 weeks, including: Eight 1/2 Restaurant & Lounge; La Brasserie; Cafe Luxy; Wild Rice; Cafe Il Nido; Ritual; Twisted Fork Bistro; Richmond Thai House; North Van Thai House and Juke Fried Chicken. Glance Pay is now live in 5 cities in British Columbia: the City of Vancouver and 4 suburban cities, West Vancouver, North Vancouver, Richmond and New Westminster. A full description of restaurants currently accepting Glance Pay can be found at www.glancepay.com/glancerestaurants. In the past two weeks, 6 new restaurants have signed contracts to use Glance Pay, including Cafe Luxy and Cafe Il Nido, which have already gone live, offering Glance Pay as a mobile payment option. The Glance Pay launch process has become more efficient and the app can now go live in new restaurants within a week of signing. Based on its research, Glance's management believes that Glance Pay is now the biggest mobile payments app for restaurants in Canada based on number of live restaurants. This press release contains certain forward-looking statements within the meaning of applicable securities law. Forward-looking statements are frequently characterized by words such as "plan", "expect", "project", "intend", "believe", "anticipate", "estimate" and other similar words, or statements that certain events or conditions "may" or "will" occur. Specially, there can be no assurance that Glance is or will remain the largest mobile payment application for restaurants in Canada.